Late on this but I just stumbled across it. 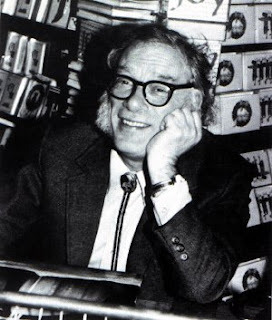 Jamie Todd Rubin had a nice post on Isaac Asimov back on the 6th. The Good Doctor was my first introduction to SF, way back in the 4th grade. I had just told my Dad I wanted to write science fiction. 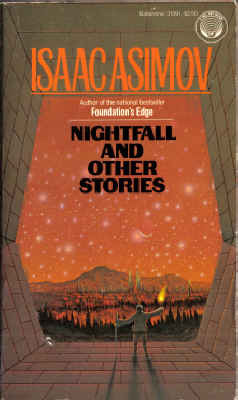 When he came home later that same day, he gave me a copy of Nightfall and Other Stories and said, "If you want to write science fiction, read science fiction. Here's a good one to start with." I still have that same copy sitting on my bookshelf. Back in college, while wandering the shelves of a used bookstore in Eureka, I came across the two volumes of his autobiography In Memory Yet Green and In Joy Still Felt and added those to my library. Good stuff. Great stories. Especially about other SF authors who were his contemporaries. I never had a chance to meet the man. I would've liked to.